of the Stargate legacy for five years, and we look forward to continuing to explore the Stargate universe with our partners at MGM through a new season of Stargate Atlantis." Color me mildly saddened. 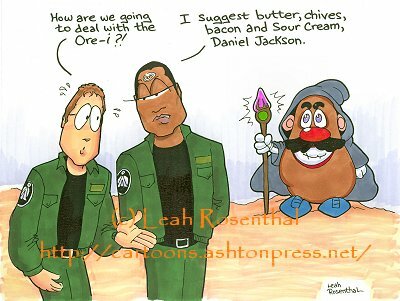 I truly enjoyed SG-1, though I also believe the soul of the show was lost when Richard Dean Anderson (Jack O'Neill) and Don S. Davis (General Hammond) left. When TechRepublic members debated the best Stargate episode, they agreed with my assessment—the show peaked at the end of Season 7, and has merely been looking for ways to stay on the air ever since.